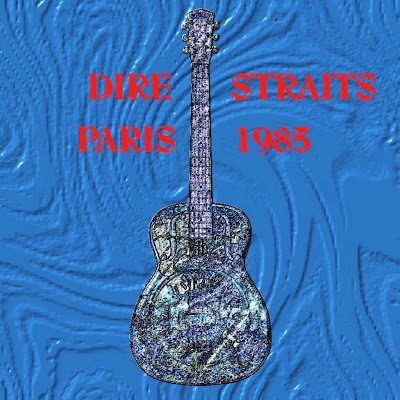 Dire Straits featuring Sting: Paris 1985. France 1985-11-28. With a piece from cancan (Moulin Rouge) improvisation!! Palais Omnisports de Bercy - Paris France - 28th November 1985. 6. Improvisation by Alan Clark -cancan (Moulin Rouge). Comments J.Van Tol: Pretty nice sound quality. ...the suprise is Sting a guest player on Money for nothing just like on the record! He also sings on Solid rock. But he is not introduced until Mark Knopfler thanks him before Going home. Another suprise is when Alan Clark improvises a bit during Going home. He plays a piece from cancan (Moulin Rouge). 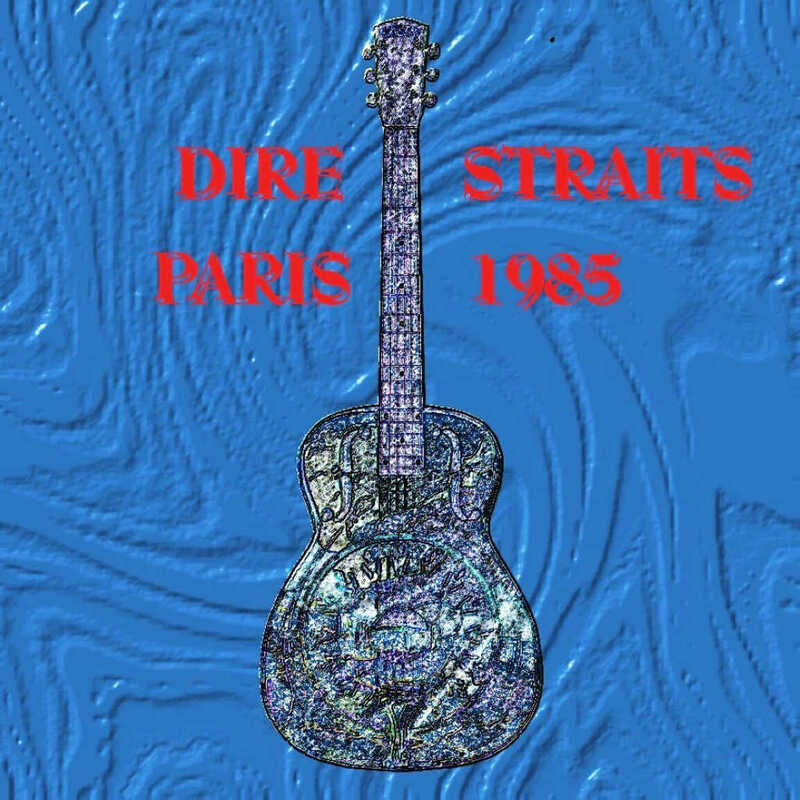 The song stops for a while and then Mark Knopfler begins playing a piece of it too! a funny moment, but only one minute in total. Complete show. Enlight note: A requested show, nice to give it a listen again. The sound is ,especially at the louder sung parts with Sting, medium..No doubt, Sting singing was great, must be recording settings. Still a great show to have. This is the second night from four in Paris, as far as i know the only one recorded (Or not?) Sting must found some time to join Dire straits after his Gig in Heidelberg the night before (27th) ,and hurry back to Germany for his Hamburg show the next day (29th). 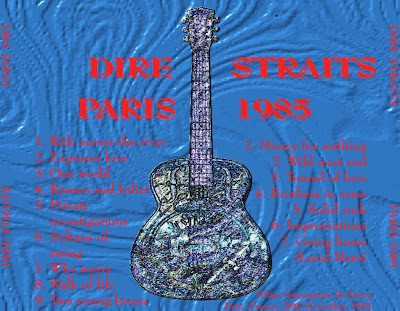 Nice to hear Sting perform with the Dire straits outside the UK , which is very rare during the BIA tour.And even more rare also during "Solid Rock". Mark and the band is in a good mood and really rocks. I love it when " why worry" is played as a long version, this time with another breathtaking sax-solo by Chris. The Cancan improvisation by Alan and Mark is a nice bonus.